At the heart of every process is a control system to integrate each piece of equipment ensuring they work as a single process. The control system can range from a simple, purely pneumatic logic system to a more complex PLC based system and anywhere in between. IEDCO is uniquely positioned to design, build, program, and integrate the controls into your process. Our facility in Turnersville, NJ features a modern control panel workshop that allows our process controls engineers to design and build just about any type of control panel. From totally pneumatic to completely electric, from the simple to the complex ‐ our engineers have the experience and expertise to build a system to your specific requirements. All of our panels are tested and re‐tested for optimum performance and functionality. Built with the highest standards and NEMA 4X rated, you can be assured that the controls for your project will be built with the utmost precision. Whether you are looking for a complete system, new control panel or need to upgrade your existing panels, IEDCO can supply you with a control panel designed to your specific project requirements. Our designs adhere to ANSI, IEE, DIN and NEC standards and practices. Panels for Class I or II, Division I or II are not a problem. We also understand the audit process in regulated industries and can prepare your automated system for FDA validation. We prepare complete and detailed functional specifications, P&ID layouts, electrical wiring schematics, panel layouts, I/O elementary wiring diagrams, program ladder logic, and full control documentation with photographs of your panel ‐ all integrated into your documentation package. 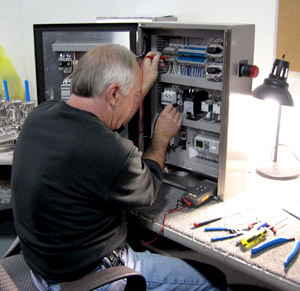 We design and build all of our control panels here at our New Jersey based facility. We have standardized on the use of Allen-Bradley components, PLCs, and OITs. However, we will customize every system to meet your specific needs, including using any components that have been standardized by your company. Our process controls experts are well versed in the programming languages needed to program higher functions for complex control panels. Using either Allen-Bradley’s PicoSoft or RS Logix software, they are able to create control panel logic to handle just about any demand. 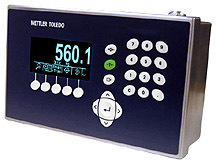 When it comes to Batch Systems, we prefer Mettler Toledo’s weigh instruments and controllers. They are easy to use, well supported, and well documented for their superiority. Again, if you have a favorite or a standard that you have come to use, we’ll be happy to integrate that into the system. 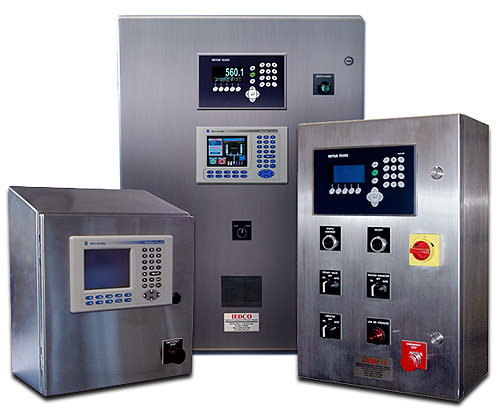 Not only is the IEDCO Control Panel Shop able to design and build custom control panels, but all our panels are UL Listed ensuring their safety and quality. UL, Underwriters Laboratory, has developed more than 1000 Standards for Safety. Their Standards for Safety are essential to helping ensure safety and improve the quality of control systems manufacturers. Millions of products and their components are tested to UL's rigorous safety standards resulting in a safer working environment for operators.